Don’t use Windows XP anymore. Windows XP is still everywhere, long after three versions of Windows have taken its place, nearly thirteen years after its introduction. I still see Windows XP at my doctor’s office. I saw Windows XP the last time I went on a cruise. And my kids’ computer runs Windows XP. These are all things that need to change. Here are five good reasons why you need to upgrade now. The big one. Windows XP updates cease in April 2014, just a few short months away. That means that any major security exploits introduced after April will go unpatched by Microsoft. In fact, some experts warn that Windows XP could be a hacker’s dream. 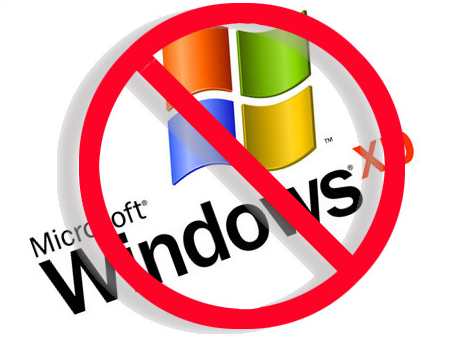 Now, it’s possible Microsoft might decide on a reprieve — because of the number of businesses still running XP — but for all intents and purposes, it will no longer be safe to use XP after April. Windows XP has trouble with new hardware, won’t run a lot of new games, and is not optimized for modern PC architecture. It doesn’t like especially large hard drives or solid state drives particularly. It just wasn’t designed to last this long. Windows XP, the 64-bit edition, is extremely rare — nearly all of the world’s XP installations are 32-bit. That means Windows XP can’t see more than 3.5 gigabytes of RAM, no matter how much RAM you have installed. 3.5 GB is limited and will cause you major issues, even if all you do is play Flash games in your browser. Forget about using Photoshop or running any decent non-casual game in the last five years. XP isn’t designed for touch. If your PC happens to have a touchscreen, or even if the touchpad on your laptop is multitouch capable, forget about getting around Windows XP easily. It was designed when touchscreens barely existed — most touchscreens on TV and in movies were animated fakes — and really won’t work without a mouse and keyboard. And finally — though Start Menu Reviver works on Windows 7, Windows 8 and Windows 8.1, it does not work on Windows XP! If anything is enough motivation to upgrade, then our amazing free application is it. Convinced? Many PCs currently running XP can handle Windows 7 or Windows 8 with a possible RAM upgrade on the side. Take a look at our upgrade guide to help you back up your files and settings — and save your Office installation from hitting its limit — before you upgrade. Good luck!